Ready or not, the holidays are here! 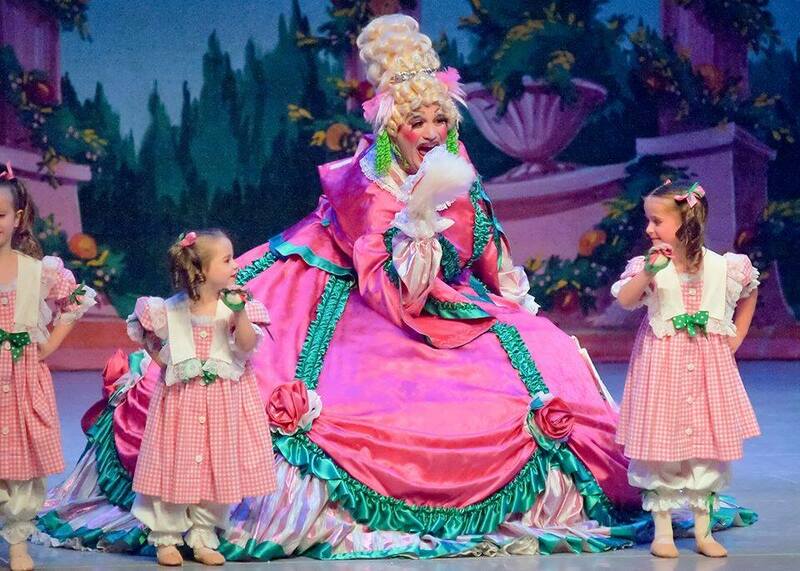 Finding the perfect “Nutcracker” is a cinch with Junior’s annual list of performances in our neck of the woods. Well, yes I guess you could say Thanksgiving feels early because the first of November fell on Thursday this year thus moving the fourth Thursday up on the calendar. Plus there’s the fact that many of us are still eating our kid’s Halloween candy and it just seems to darn early to be having Thanksgiving. If you think Turkey day feels early this year, get a load of this–Thursday (as in the day after tomorrow) marks the beginning of “Nutcracker” season. Yep, you read that right. Not to rush you or anything, but if you want to see candy dance and rodents duel you’d best get cracking (so to speak) and get those tickets now while the gettin’ is good. To assist you in your search for the perfect Nutcracker here’s our annual Superlist, hot off the presses. If you’re not into nuts, no worries. We’ve also listed several seasonal dance productions in our neck of the woods. All the performances are listed in order by date so you won’t miss a single dancing snowflake. Get primed for the holiday season with Avant Chamber Ballet’s “Nutcracker: Short and Sweet.” This year’s production will include the world premiere of Katie Cooper’s “Winter” from Vivaldi’s The Seasons and live music from Cezanne String Quartet. The second half of the evening features the best parts of Tchaikovsky’s “The Nutcracker” and all the characters that you love. The one-hour, family-friendly performance the perfect introduction to dance and classical music. 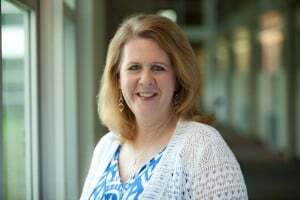 You have two chances to catch the show, Thursday, Nov. 15 at White’s Chapel United Methodist Church in Southlake, and Saturday, December 8 at Moody Performance Hall. Clara’s enchanted dream comes alive with Ballet Frontier’s annual production of ‘Nutcracker.’ Besides the beautiful costumes and world-class choreography, this years’ show will also feature special guest artists, Kathryn Boren and Nathan Vendt from American Ballet Theater, NYC; Julia Erickson from Pittsburg Ballet Theater; and Marlen Alimanov, former principal dancer with Texas Ballet Theater. See it this Saturday and Sunday, Nov. 17 & 18 at Will Rogers Memorial Center in Fort Worth. Another production happening before Turkey Day is Moscow Ballet’s ‘Great Russian Nutcracker.’ World class Russian ballerinas and dancers will be performing in Dallas as part of their tour of North America. The splashy show features hand-painted sets, Russian Snow Maidens, jubilant Nesting Dolls, and a 2 dancer Dove of Peace with a 20-foot wingspan. See it Nov. 17 & 18 at McFarlin Auditorium on the SMU campus. Join Clara on her magic trip through the Land of Snow and into the Kingdom of the Sweets as Momentum Dance Company presents their production of ‘The Nutcracker” Nov. 23 – 25 at the Irving Arts Center. Momentum welcomes guest artist, Emily Dixon Alba of Avant Chamber Ballet, as their Sugar Plum Fairy this year. Following the final show on Nov. 25, the tinies can meet the dancers and characters from the show during a Sugar Plum Fairy reception. Prepared to be dazzled in a big way with Texas Ballet Theater’s production of Ben Stevenson’s ‘”The Nutcracker.” From the big splashy sets to the glittery costumes, this production is elaborate and won’t disappoint. 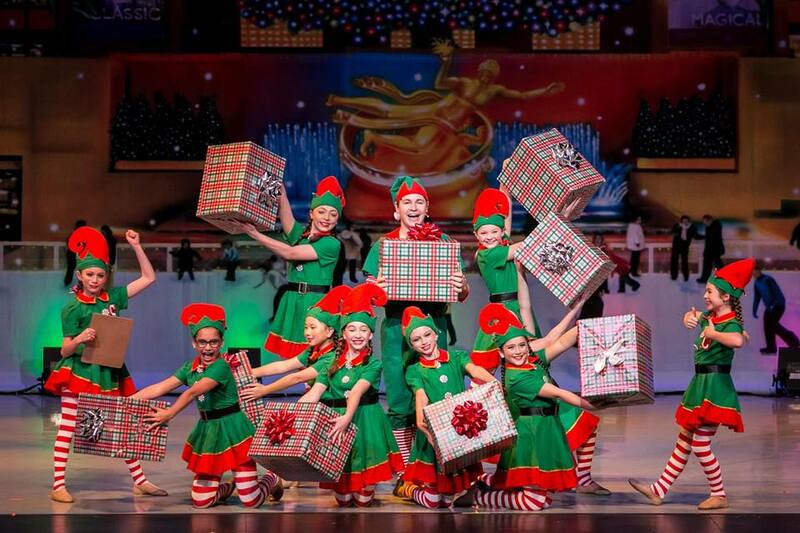 The glittery seasonal favorite takes the stage at the Winspear Opera House Nov. 23 to Dec. 2. And in Fort Worth, ‘Nutcracker’ performances happen Dec. 7-24 at the equally opulent Bass Performance Hall. LakeCities Ballet Theatre’s production of the classic holiday tale will also take the stage Nov. 24-25 at Marcus High School Auditorium. Sarah Lane with American Ballet Theatre will be the show’s Sugar Plum Fairy and Daniel Ulbricht with New York City Ballet will perform as her Cavalier. Snow will fall and mice will scurry in Chamberlain Performing Arts’ 2018 production of “The Nutcracker.” Joining the cast of snowflakes and mice are New York City Ballet principal dancers Tiler Peck and Tyler Angle who will perform the roles of the Sugar Plum Fairy and the Cavalier. See it at the Eisemann Center in Richardson the weekend of Nov. 24-26. Find out who the Nutcracker was before he was a piece of kitchenware in “Krakatuk: A Nutcracker Prequel.” This unique and fun ballet filled with kings, queens, mice and, of course, a nutcracker, will answer all of your burning questions about what really happened to ballet’s most famous leading man. Youth Ballet of Texas presents this perfect introduction to the classic ballet at the McKinney Performance Center on Nov. 30, and again at the Eisemann Center in Richardson on Dec. 15. Ballet Ensemble of Texas’ performance of ‘The Nutcracker’ includes glistening snow, detailed costumes, and masterful choreography by new artistic director Thom Clower. This season’s production features American Ballet Theater’s Patrick Frenette as the Cavalier. 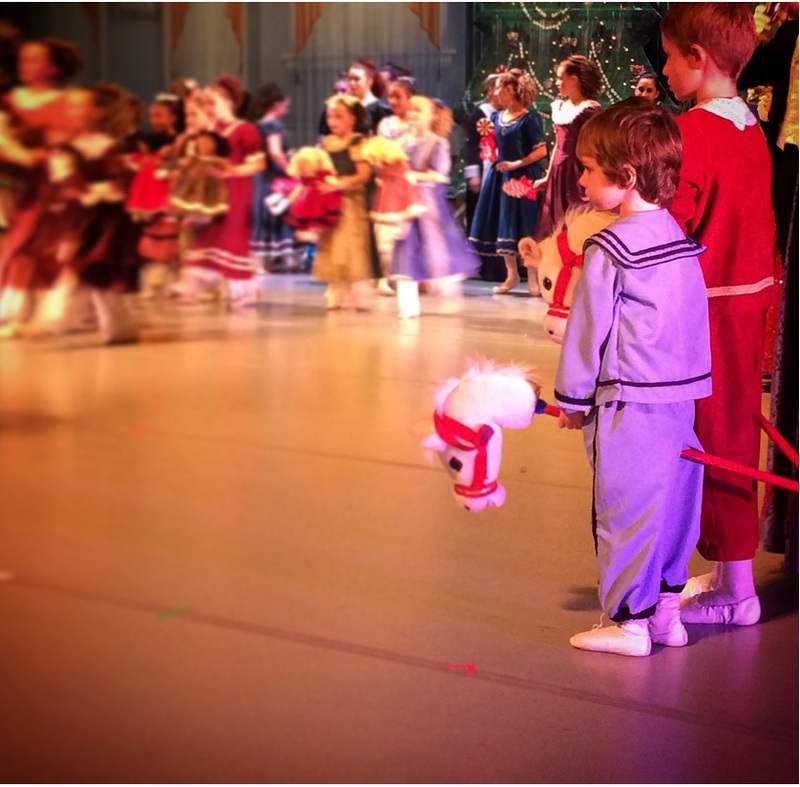 Patrick was featured in the film “Danseur.” See it Nov. 30 -Dec 2 at the Irving Arts Center. Collin County Ballet Theatre is back for its annual “Nutcracker.” Returning this year as the Sugar Plum Fairy and Sugar Plum Cavalier are Cuban ballet stars Adiarys Almeida and Taras Dimitro. To make this Nutcracker even more special, the show will also be accompanied by the Plano Symphony Orchestra under the baton of Maestro Hector Guzman. See it Nov. 30-Dec. 2 at the Eisemann Center. Ballet North Texas is bringing their version of the classic Christmas ballet to three different venues. See it Dec. 1 at Naomi Bruton Theater in Dallas, Dec. 14 at the Jamie Foxx Performing Arts Center in Terrell, and Dec. 20 at the Civic Center in Palestine. Royale Ballet Dance Academy welcomes special guests Emily Dixon Alba, Eugene Barnes, Travis Morrison and Daniel de Cordoba for their 15th-anniversary of ‘The Nutcracker.’ You’ll have four chances to see their child-friendly production Dec. 1 & 2 at the Eisemann Center. Tyler Junior College Academy of Dance will mark its 35th anniversary of performing “The Nutcracker.” To help celebrate the milestone, the East Texas Symphony Orchestra will be partnering with TJC Academy of Dance. Invited to join the cast of over 100 TJC and community performers will be two dancers with the world-famous Pennsylvania Ballet, to dance the roles of the Sugar Plum and her Cavalier. You can see this extra special production Dec. 1 at the UT Tyler Cowan Center. Got kids with short attention spans? Join Dallas Repertoire Ballet as they present their annual production of the “The Nutcracker.” Their fast-paced production is perfect for the tinies and features a cast of 130 dancers from the Allen-based Academy of Dance Arts, the official school of Dallas Repertoire Ballet. The show happens Dec. 7-9 at the Eisemann Center. Also, once again Dallas Repertoire Ballet is offering a “sensory-friendly performance” at the 2 p.m. show on Saturday, Dec. 8. 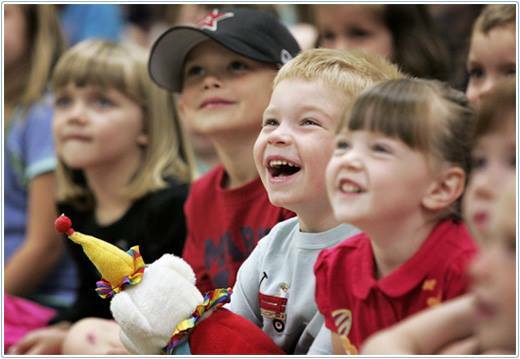 This performance is specifically designed for children with sensory processing disorders like autism, Asperger syndrome, Down syndrome, and other special needs. Ring in the holiday season with The Frisco Ballet’s performance of “The Nutcracker.” This year there will be two performances on Dec. 8, at Lebanon Trail High School in Frisco. Ticket prices start at just $18 per person. With all of the gatherings, present buying and general holiday hoopla you might be finding your funds a bit low. Well, fear not, Art Ballet Academy’s production of ‘The Nutcracker’ can take you to the magical land of the Sugarplum Fairy without straining your budget. Starting at just $15 a ticket it’s one of the most affordable Nutcrackers around. There will be two performances on Dec. 8 at Mansfield ISD Center for the Performing Arts. Dancers from Oklahoma, New York, Europe, and 30 communities in the north central region of Texas make up Denton’s Festival Ballet of North Central Texas. 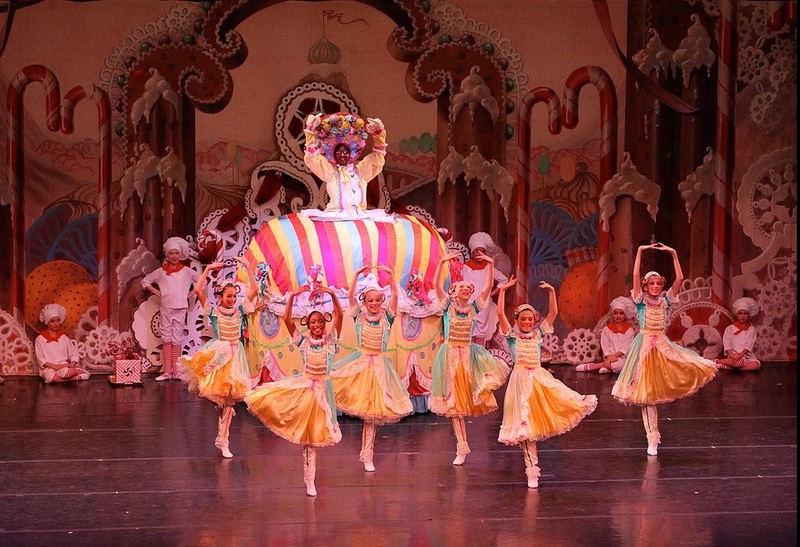 The company is celebrating its 30th year and their production of ‘The Nutcracker’ has become a holiday tradition. Catch Festival Ballet’s magical performance of ‘The Nutcracker’ Dec. 8 & 9 at the Margo Jones Performance Hall at TWU in Denton. Dance students from all over East Dallas will perform in “Nutcracker Short ‘N Suite” Dec. 13-15 at Woodrow Wilson High School in Dallas. The hour-long performance is like the name implies–short, and the price tag is the sweet part–just $8 a ticket. Get there early for the matinee on the Dec. 16 for the Land of Sweets Breakfast. Little kiddles can enjoy goodies and get their pictures taken with Nutcracker characters and Santa. Allen Civic Ballet’s annual presentation of ‘The Nutcracker Ballet’ features a live musical accompaniment from the Allen Philharmonic Orchestra. You can follow Clara and her beloved Nutcracker Prince on their journey through the Kingdom of Sweets at the Performing Arts Center at Allen High School Dec. 15 & 16. The Tuzar Ballet takes the stage at the Eisemann Center for their annual production of ‘The Nutcracker.’ This is the company’s 34th year performing the holiday classic. This season features two guest principal dancers, both soloists from the Boston Ballet. Seo Hye Han will perform the parts of the Sugar Plum Fairy and Snow Queen and John Lamb will perform as the Cavalier and Snow King. There are three performances of the lavish and spectacular ballet Dec. 15-16. Denison Dance Academy presents its 8th annual production of the holiday favorite. Their Nutcracker ballet has tickets as low as $5 for children and $15 for adults. It’s playing at the Kidd-Key Auditorium in Sherman on Dec. 20 & 21. On Dec. 21 come to see the Marina Almayeva School of Classical Ballet’s interpretation of ‘The Nutcracker’ at Will Rogers Memorial Center. The ballet features Nathan Powell as the Prince, Katia Almayeva as the Sugar Plum Fairy, Marlen Alimanov as the Rat King. 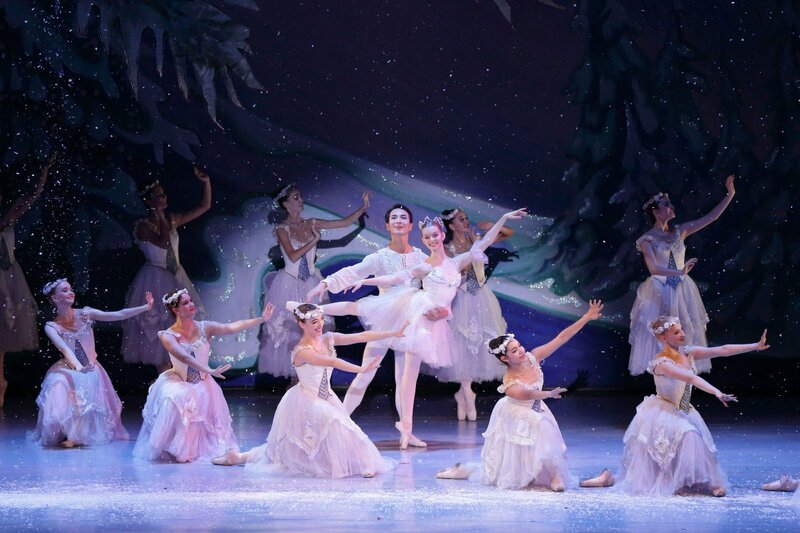 Ballet Concerto is forgoing nutcrackers for seasonal cheer with their Holiday Special. It begins “Winter Wonderland,” choreography set to familiar Christmas Tunes, followed by “Frosty the Snowman” as the featured dance. Also on the program is “Hanukah Flamenco” which introduces the audience to the story of Hanukah. The program closes with “O Holy Night,” a reenactment of the nativity in dance. Catch the show Dec. 7 at Fort Worth’s Will Rogers Memorial Center. The dancers of Avant Chamber Ballet and the singers of Verdigris Ensemble are bringing to life “The Little Match Girl” in a modern, new way. With choreography by Katie Cooper and conducting by Sam Brukhman, the performance will use the human voice and dance in innovative ways to create a compelling and relevant audience experience about poverty, faith, and hope. See it Dec. 7 & 8 at Moody Performance Hall in the Dallas Arts District. Ballet Dallas is serving up its own version of holly jolly with “Holiday at the Ballet.’” The show is actually two different performances of seasonal dance. There’s a wintery contemporary piece that’s a re-staging of Robert Beard’s ‘Ceremony of Carols,” and a fun journey to the Land of Sweets with the favorite dances of Act II of ‘The Nutcracker.” See it at the Eisemann Center Dec. 8 & 9. Speaking of different, be sure to check out imPULSE Dance Project’s 5th Annual production of “Snow.” You won’t find dancing sweets in this ballet, but it will definitely put you in a wintery state of mind. The not-so-traditional Christmas and holiday dance performance combines candlelight and modern dance to bring the snowy outdoors, indoors. See it Dec. 8 & 9 at Lewisville’s MCL Grand Theater. Park Cities Studios and The Dallas Conservatory want to get you in a New York state of mind with their 10th Annual Rockefeller Christmas Holiday Show. The show features jazz and tap dancing, singing, and Act II of “The Nutcracker” complete with live gingerbread children and snow falling on stage. The only thing missing is the Rockettes! Choose from two matinees, on December 9 at the famous Majestic Theatre. For a complete list of all the fun happening this season, check out Art&Seek’s Holiday Events Theme. Emily Dixon Alba will also dance with the Royale Ballet in four fabulous Nutcracker performances on Dec 1 & 2 at the Eisemann. Thanks for the heads up! We’ll be sure to add it!